A sleek, streamlined design paired with durable, waterproof construction make the All Elements Backpack the ideal back pack for bicyclists, motorists, and outdoor sports enthusiasts. A sleek, streamlined design paired with durable, waterproof construction make the All Elements Backpack the ideal backpack for bicyclists, motorists, and outdoor sports enthusiasts. Whether you're an everyday bicycle commuter or a weekend mountaineer, this waterproof pack is essential for keeping your gear dry. Waterproof material and roll-top construction locks out moisture, and the water resistant front zippered pocket keeps essentials easy to access. Removable liner features a laptop sleeve, tablet sleeve, and two zippered pockets. 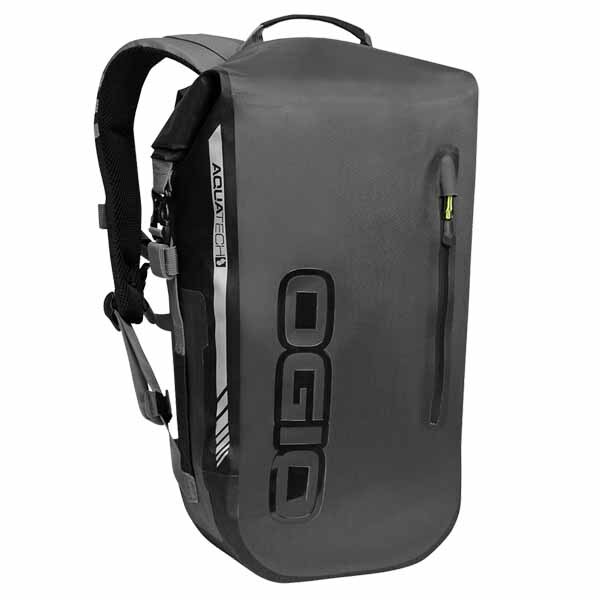 But OGIO didn't just focus on keeping your gear dry when building this bag. Shoulder straps are constructed for maximum rider comfort, and features an adjustable sternum strap to ensure security. When you want to keep your gear safe, invest in OGIO's All Elements Backpack.